A permanent, high strength threadlocker for use with all threaded fasteners up to 1" where regular removal is not necessary. Suitable for use with copper, stainless steels and those with protective coatings such as zinc. Ideal for use with all fasteners that must withstand heavy shock, vibration, or extreme environmental or chemical conditions. NSF approved for potable water applications. 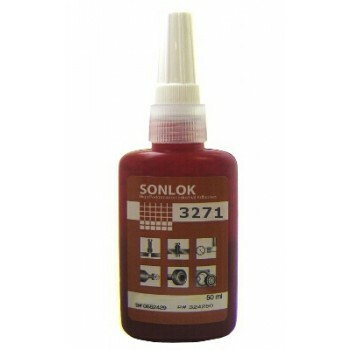 Equivalent to Loctite 2701 this is a solderless bonding agent for copper pipes and fittings is the fastest, easiest way to permanently install or repair rigid copper pipe.